Our work helped to launch Proeflokaal ’t Kelkje, a liquor store founded early last year on the Oudezijds Achterburgwal in Amsterdam. 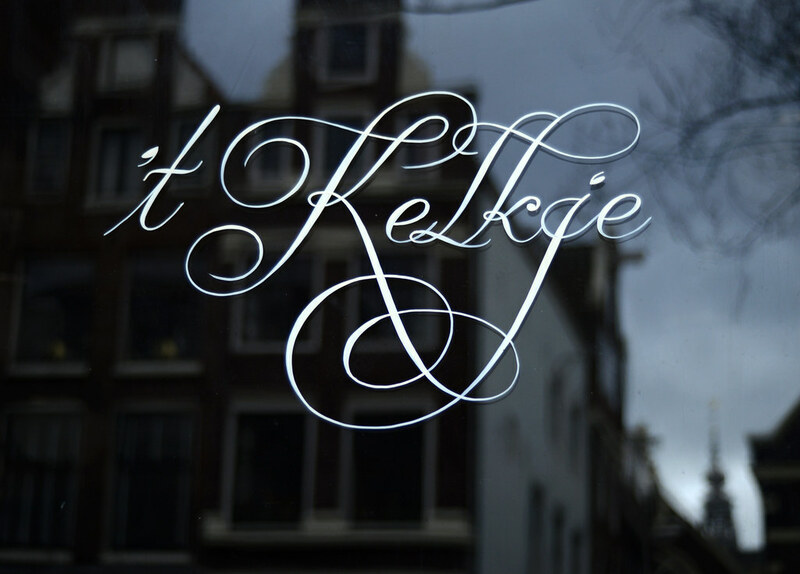 The company’s owner was interested in a logo with a typical old Amsterdam look so we designed some lettering which was skillfully hand painted by Jasper Andries on the store windows. 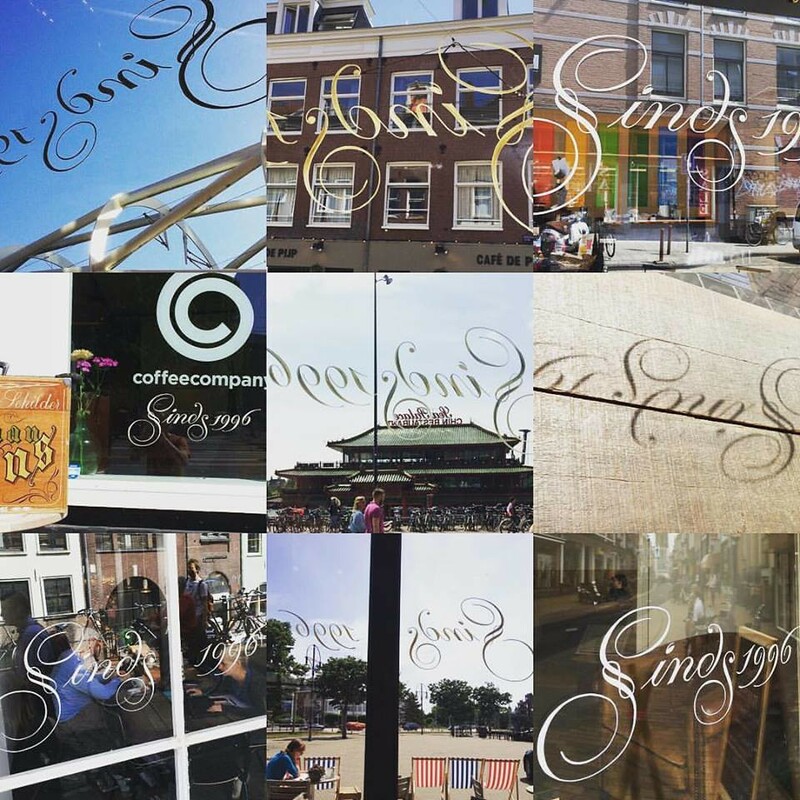 Another exciting assignment was a commission by the most prominent coffee chain in the Netherlands: Coffee Company. 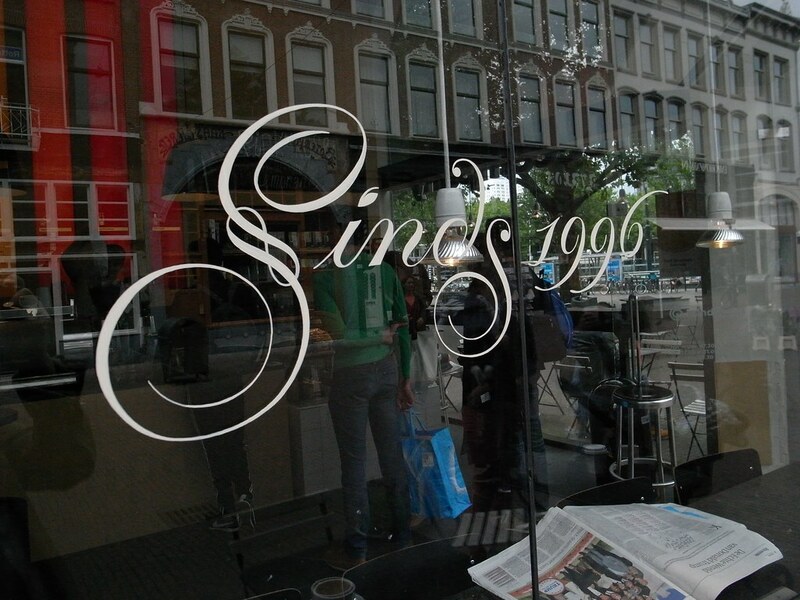 The company was celebrating its 20th anniversary and wanted the words ‘Since 1996’ in Krulletter style to be painted in all its stores. Once again, we drew the lettering and the Amsterdam Signpainters team, in an impressive coordination of many painters, proceeded to apply it to the windows of 35 locations throughout The Netherlands. 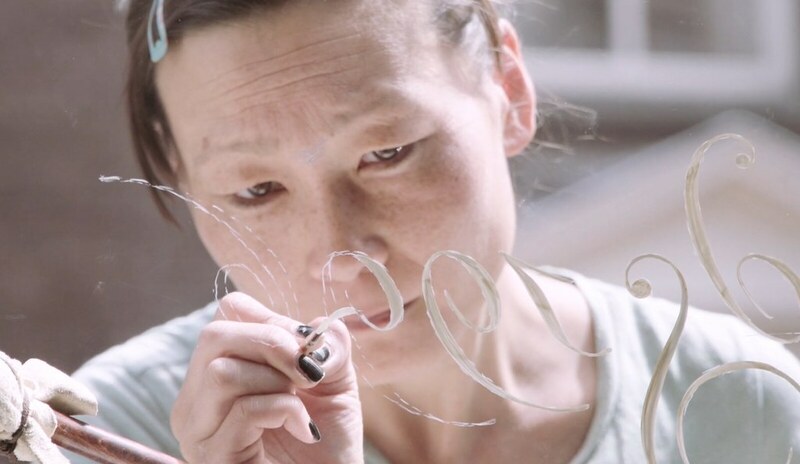 We are proud of these small but significant contributions to preserve a traditional Dutch lettering style by making it suitable for modern design and advertising.